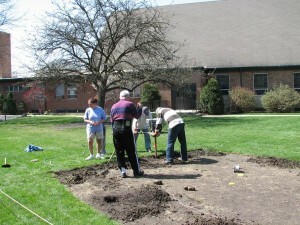 First steps are removing the sod and drilling the post holes. Then we add the fence and the gate. Once the fence is up, we add the landscape fabric and pea gravel around the raised beds. Currently we have three gardens that we have built on church properties. We (or your building committee) will contact the local government, give them the garden plan and dimensions, and make sure we are in compliance. Fundraising from your members should be considered. You can expect to spend anywhere from $1,000 – $3,000 depending on size. 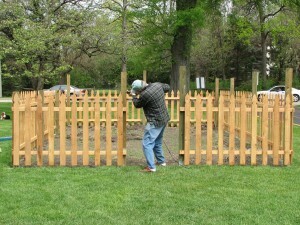 Our gardens have raised beds, pea gravel walkways and picket fences to keep animals out. We need many strong volunteers to help remove sod, mix cement, build the picket fences and lay the planting areas and pea gravel walkways. Groups such as boy/girl scouts, youth groups, small groups, men’s groups, and garden clubs can all help in the building of the garden. 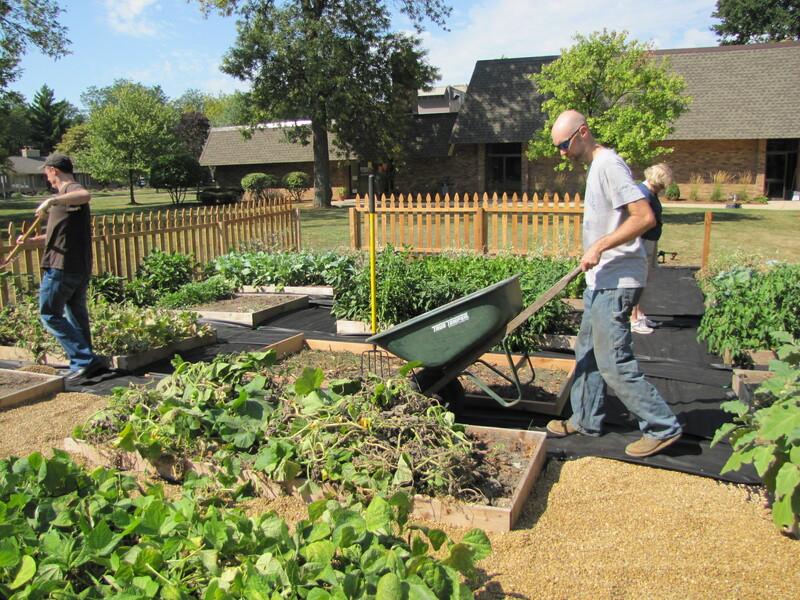 The weekly weeding, watering, harvesting, weighing and delivering to a food pantry could fall into 4-5 groups, families or individuals that would each take a week of the month during the growing season. If split into groups, this is only about 4-12 times during the summer and fall. If you cannot work during your scheduled week, you can swap with someone else. We make these arrangements so no one (or group) is over worked. Heaven and Earth Growers will work out a schedule for you and even help in obtaining growers to work the garden if you need them. Contact us for more details. Once your garden is up and working you will be happy with your mission growing to give. Blessings on your path of purpose.